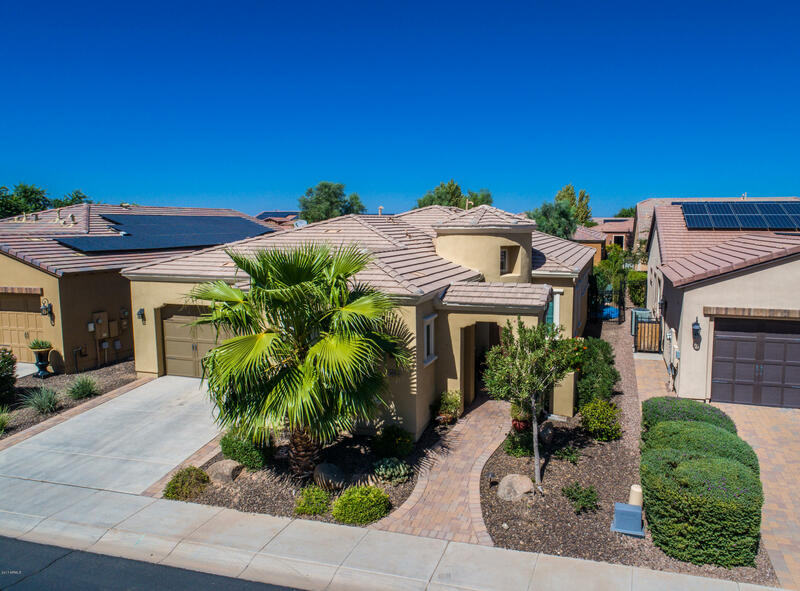 Stunning Genova model, truly a rare find w/a Shea Zero Solar electric system, 3 Bed Rooms, 3 Full Baths, & a separate private office (w/access from outside of the home), and Heated Pool - WOW. The Gourmet kitchen features a large granite island, SS appliances, walk in pantry & upgraded tiled backsplash. Beautifully detailed wood planked ceramic tile throughout & upgraded carpet in all bedrooms. This home is detailed w/many high-end upgrades in lighting fixtures, crown moldings, & beautiful bath room tile work. Additionally the Dual rolling walls of glass from the formal dining room create an impressive & relaxing outdoor living space leading to the pool deck, a heated pool w/multiple water features and covered patio w/a cozy stone fireplace. This is an entertainer's paradise - come see!